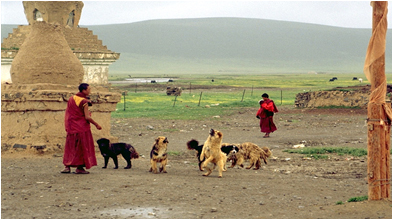 The Tibetan Plateau is one of the world’s most important foci of human echinococcosis, and both cystic (囊型包虫病, náng xíng bāo chóng bìng) and alveolar (泡型包虫病, pào xíng bāo chóng bìng) echinococcosis occur. Many members of the IRN EHEDE participated to research carried out there from 2001 to 2008 as part of the US National Institutes of Health (Fogarty Institute) programme "Ecology of infectious disease". Studies found that the canine echinococcosis (Em and Eg all together) rate exceeded 20% in some communities in Shiqu County on the Plateau. The Sichuan Center for Disease Control (CDC) and international partners such as the University of Franche-Comté, France, and the University of Salford, UK, have carried out a number of national and international research programmes in Serxu/ShiQu county, Sichuan, since the late 1990s (see above and Wang et al. 2004, Li et al 2005, Wang et al. 2006a, 2006b, etc.). 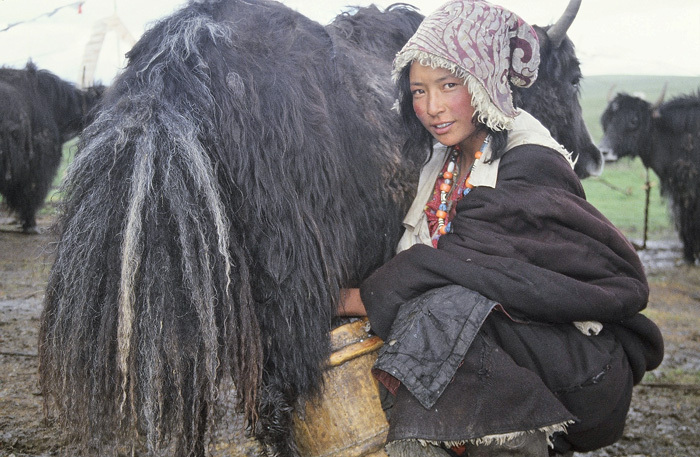 Moreover, since 2005, a National Control Programme focuses on this high endemicity area where both cystic and alveolar echinococcoses still affect several thousands of people, most of them Tibetan herdsmen/women.. 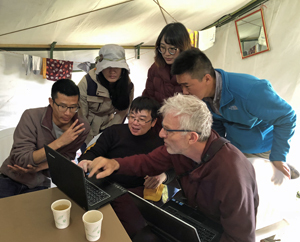 The Sichuan CDC group for cestode zoonoses has organized a pilot mission in Serxu, from June 18 to 24, to prepare the next field work scheduled in August. 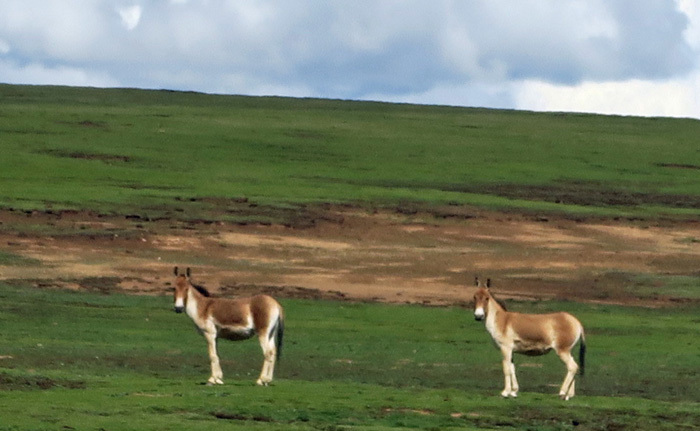 The study field is at 4200-4700 m of altitude close to the Qinghai province and the city of Yushu. 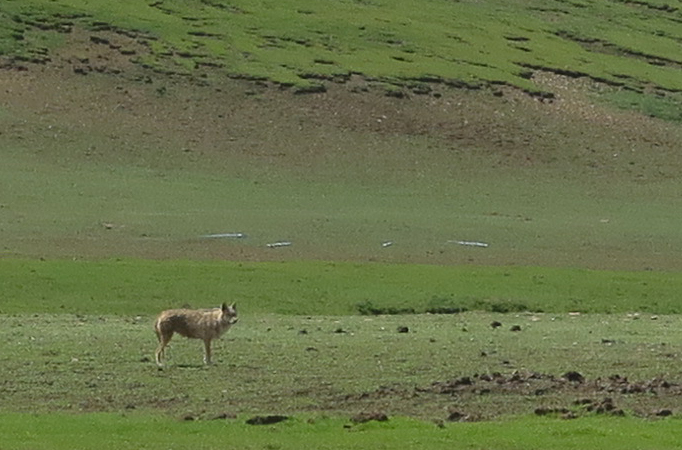 The objective was to evaluate how camera traps, drone technologies and spatial methods might help to improve the monitoring of key transmission parameters in the area (dog and fox census, small mammal activity, behaviours, geolocation of patients, etc.). Participants: Wang Qian 王谦 (head of the CDC group), Liao Sha 廖沙, Zhang GuangJia 张光葭, Yang Liu 杨柳, Wang Qi 王奇 and He Wei 何伟 (CDC staffs), Patrick Giraudoux (University of Franche-Comté & YUFE) invited as a consultant by the Sichuan CDC, in semi-permanent connexion with Christopher Marston (Edge Hill University) staying in UK as an adviser. The local CDC kindly provided logistical support on the spot. we took 47 ground control points in order to extend former maps of the eastern part of the study area further west. Furthermore, we set up a common methodology to georeference villages, hamlets, summer pasture camps, based on local documents, satellite and aerial imagery. This should allow the study of the spatial distribution of patients at finer grain and the possible impact of their environment to parasite transmission. we carried out trials to calibrate altitude and trajectories of a drone, in order to survey dog and small mammal indices e.g. 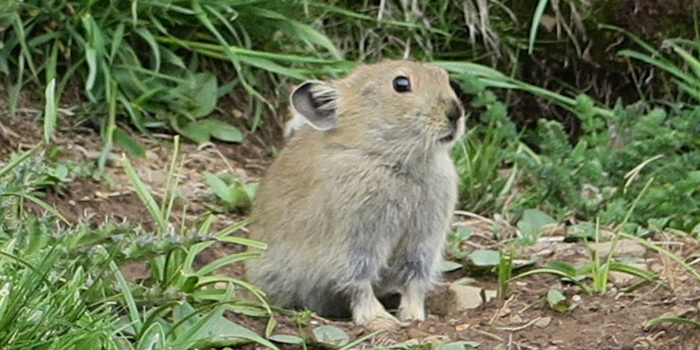 (pika holes, etc.) spatial distribution. we set up camera traps in order to monitor dog and small mammal behaviour and their possible interactions with humans. 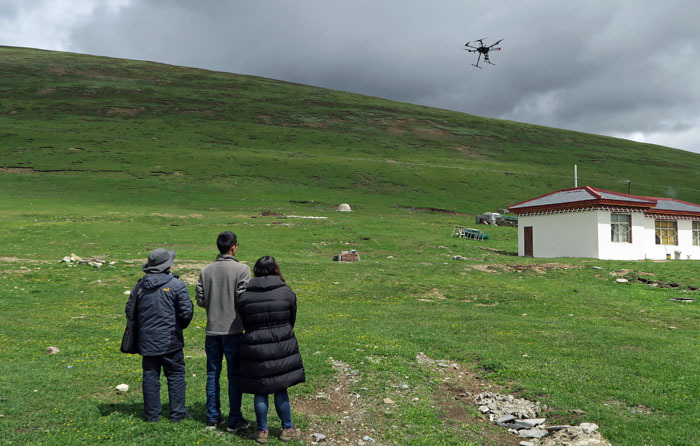 Perspectives: a stronger team including mammologists of the Sichuan Normal University, equipped with an additional drone and infra-red camera is going to come back in August for a full-size study. Moreover, this year, Pr. Wang Qian has submitted a research proposal to the National Natural Science Foundation of China, aiming at understanding the mechanisms of parasite transmission patterns in small mammals in the course of the National Control Programme. This application includes consultancy from several members of the Chrono-environment lab, University of Franche-Comté, and one from Edge Hill University, all members of the GDRI EHEDE. Meeting November 5-6 in Chengdu, Sichuan CDC. The aim was to concert about data analysis and GIS issues related to the pilot study carried out in June and the full size field research achieved in August when 360 AE/CE patients were identified in Eduoma area. 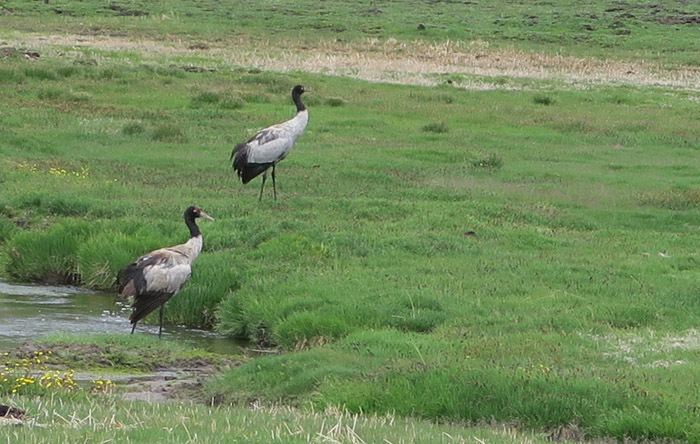 Exchanges focused on photo-interpretation of imagery obtained by drone, and on harmonization of geographical coordinate systems used for data storage and analysis. Additionally specific R scripts were developed for preliminary analysis of patient data in a spatial context. Participants: Wang Qian 王谦 (head of the CDC group), Liao Sha 廖沙, Zhang GuangJia 张光葭, Yang Liu 杨柳, Wang Qi 王奇, He Wei 何伟, Chen Fang 陈凡 (CDC staffs), Patrick Giraudoux (University of Franche-Comté & YUFE). The group was kindly introduced by Pr. Zhong Bo 钟波 head of the Institute of Parasitic Disease of the Sichuan CDC.